If you've been injured as the result of a dog bite attack, you're entitled to compensation for any expenses related to the incident and for the damage and disfigurement caused by the dog. Determining what type of insurance coverage you have and the type of coverage the dog’s owner has will be one of the first tasks involved in helping you with your personal injury claim. Dog bite injuries, especially severe injuries will require significant medical care. Some of that care will come in the form of an emergency room visit, follow up medical care, medications and antibiotics, physical therapy, mental health care, possible reconstructive surgery or plastic surgery. These expenses can be covered by a good health insurance policy. While these payments are only made to the healthcare providers, they allow you to get the care you need while your lawyer is trying to secure additional recovery for you and for your injuries. Won’t pay for an injury caused by a dog that is one of the breeds shown to be most likely to bite, such as Pit Bulls, Staffordshire Terriers, German Shepherds, Doberman Pinschers, and Rottweilers. Will exclude any dog with a history of aggression, regardless of breed. Will only pay an injury claim when the animal is on the premises and won't cover dog bites in a public park or other area. Will only pay up to a certain dollar amount and don't take into account the need for higher compensation following a severe attack. Dog bites account for over one-third of all homeowner's or renter's insurance claims, with an average payout of over $32,072 per claim in 2014. Since insurance companies exist to make a profit, it's only logical to expect that they will become even more aggressive about limiting dog bite coverage in the future. If you have a dog, make sure your insurance policy covers your dog and any injury it may cause so you are not subject to personal liability for injuries caused by your dog. When homeowners' or renter's insurance does not offer protection for dog bites, animal owners can opt to purchase a personal umbrella liability policy. This is an add-on to the homeowner's or renter’s insurance coverage that provides additional coverage over the specified liability limitations and covers the exposures excluded by the underlying policy. Coverage is generally purchased in million dollar increments. 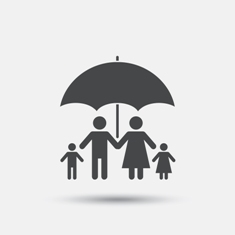 Umbrella liability policies can also a be a source of funding for a personal injury claim if you were bitten by a renter’s dog and want to seek compensation from the landlord. California law allows landlords to be held responsible for a dog bite attack if they knew a dog posed a threat to others and failed to act to have the dog removed from the property. This liability is narrowly tailored by the courts so not all landlords are responsible for the bites of their tenant’s dogs. Pet liability policies are intended to help pet owners protect themselves financially against the risk of a dog bite attack. They can be purchased when a homeowner's or renter's policy doesn't cover dog bite attacks or offers insufficient protection. Pet liability policies are offered through many of the same carriers that provide homeowner’s or renter’s insurance. However, there are also companies that deal exclusively in pet liability insurance. For example, the Federation of Insured Dog Owners (F.I.D.O.) offers a canine liability coverage program in all 50 states with no excluded breeds. Under California law, dog bite victims are entitled to compensation for their expenses regardless of whether the owner has insurance coverage available to pay for the damages. However, if appropriate insurance is not available, finding a way to collect sufficient reimbursement for the injuries can be much more difficult. To access the maximum possible recovery from a dog bite injury, you'll want to have a skilled attorney advocating for your needs. When you hire an attorney to handle your dog bite claim, he or she will handle communication with the animal's owner and any applicable insurance carrier. Since dog owners are sometimes reluctant to provide insurance information, your lawyer may need to file a lawsuit to compel the disclosure of the insurance information. With the lawyer fighting for you, you are free to focus on your recovery. The legal team at the Inland Empire Law Group has extensive experience in helping California residents receive compensation for dog bite injuries. Please call (909) 481-0100 to schedule a detailed case review at our Rancho Cucamonga or Victorville locations. Whenever you meet with one of our team members, there is no pressure, just answers and a friendly person willing to listen to your story and help you with your needs.